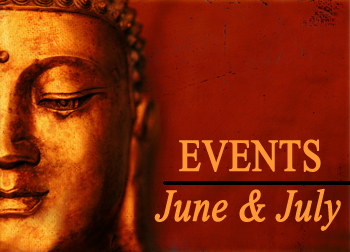 We are pleased to present to you all the many diverse events going on this summer at Jampa Ling, and we are sure that it holds something of interest for everyone–from a new unplugged weekend, introductory courses to meditation, yoga, and natural singing, to days of gathering for celebration and prayer. Join us for a residential retreat weekend spent in silence. One can participate on either one or both of the days. The weekend can be a time of spiritual renewal. People are free to do meditation from the Buddhist tradition or from their own traditions. There will be time for relaxing and absorbing the peace and quiet of the centre. Suitable for everyone. You are welcome to arrive on the Friday evening. The weekend starts at 10.30am Saturday. main Shrine Room. There will be time for discussions and answers for questions about your personal practice and conditions. Booking essential, please contact the centre. Please arrive at the latest by 9:45 am in order to settle in. The celebration of the Buddha’s birthday, enlightenment and entering nirvana. It is also known as Vesak in Sanskrit. 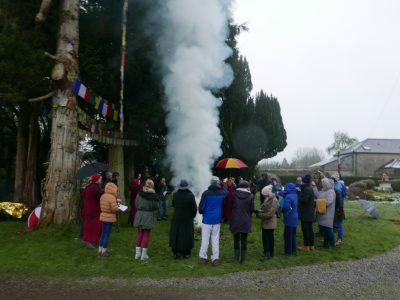 We invite you to share this special day at Jampa Ling as we celebrate with a smoke puja (traditional Tibetan purification ceremony) in the garden and prayers in the Shrine Room with the gracious presence of Ven. 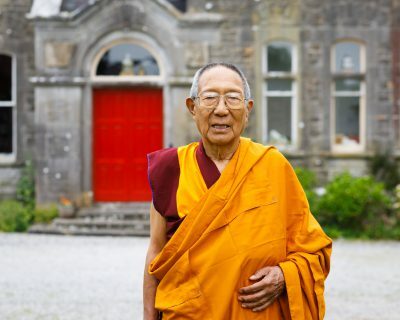 Lama Panchen Ötrul Rinpoche. Everyone welcome. Please bring vegetarian food to share and your musical instruments if you would like to play! 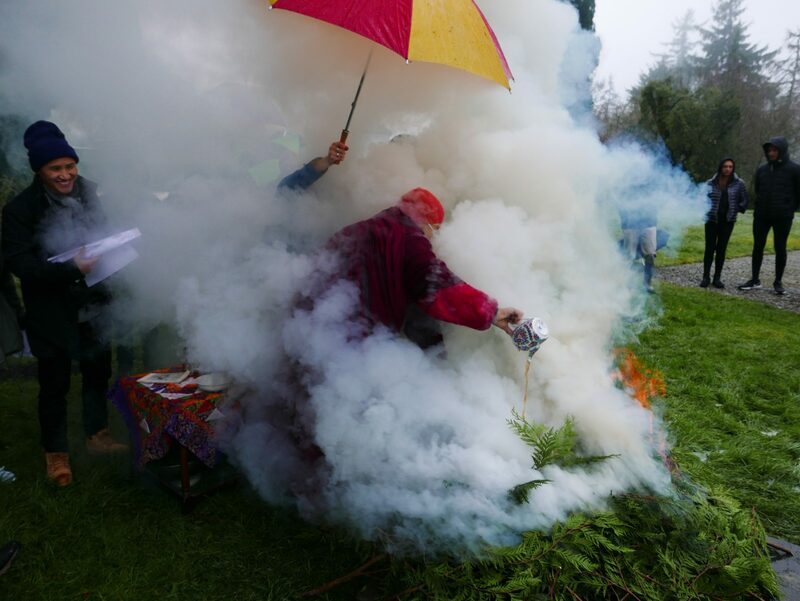 This day will be a one-off opportunity to spend time sitting with Rinpoche and receive instruction in the practice of meditation. People with experience can deepen their practice or newer people can get a taste of what meditation is about. Learn techniques on how to develop a calm and peaceful mind through meditation. The value of meditation in different areas of our lives is gaining recognition in health, education and for general happiness and well-being. This one-day introduction to meditation will give you a personal experience of a calmer and more peaceful mind. A weekend for students and friends of Jampa Ling to come and relax at the centre renew friendships and enjoy the daily practices. Events include, Tai Ji, Qi Gong, Yoga and the Buddhist game of Rebirth. Booking essential, please contact the centre. Disconnect from your phone, reconnect with yourself. A weekend to get away from it all and learn how to create your own day everyday. Enjoy learning gentle moving exercises, meditation, Tai Ji, Qi Gong, etc. in the beautiful surroundings of Jampa Ling. At the end of the weekend you will go home feeling refreshed and empowered with new exercise and meditation techniques, recipes for food, herbal teas, and so much more. Suitable for all body types and conditions, for beginners and those experienced in meditation. Booking essential, please contact the centre. The weekend starts at 10am Saturday morning. You are welcome to arrive on the Friday evening. 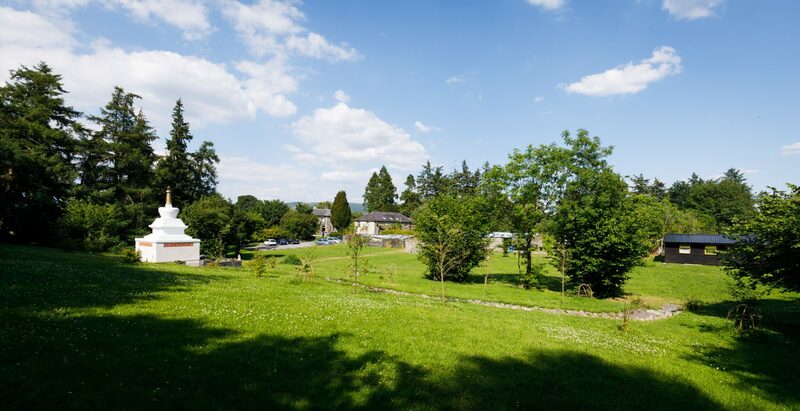 Come and join us for a residential retreat weekend spent in silence. One can participate in either or both of the days. The weekend can be a time of spiritual renewal. People are free to do meditation from the Buddhist tradition or from their own traditions. There will be time for relaxing and absorbing the peace and quiet of the centre. Suitable for everyone. You are welcome to arrive on the Friday evening. The weekend starts at 10.30am Saturday. Booking essential, please contact the centre. Feeling anxious or stressed? Learn techniques on how to develop a calm and peaceful mind through meditation. The value of meditation in different areas of our lives is gaining recognition in health, education and for general happiness and well-being. This one-day introduction to meditation will give you a personal experience of a calmer and more peaceful mind. Booking Essential, please contact the centre. Gentle introduction to a morning and evening practice in Yoga Asana (postures, poses and flows). Learn simple techniques of Pranayama (breathing exercises). 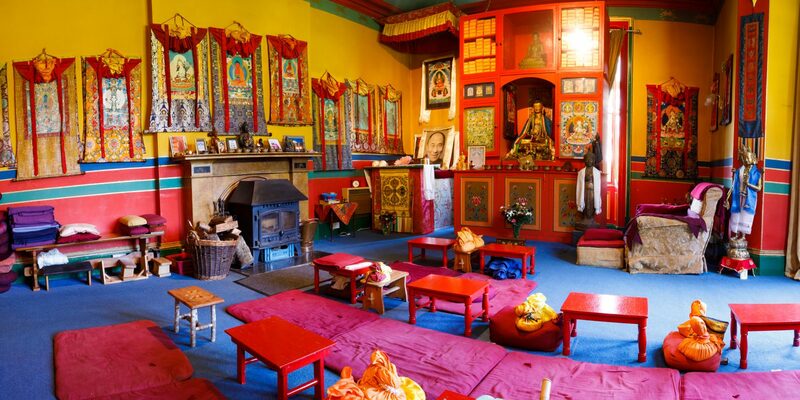 There will be a brief tour of the Buddhist centre and a guided meditation in the main shrine room. There will be plenty of time for discussions and answers for questions about your personal practice and conditions. Booking essential, please contact the centre. 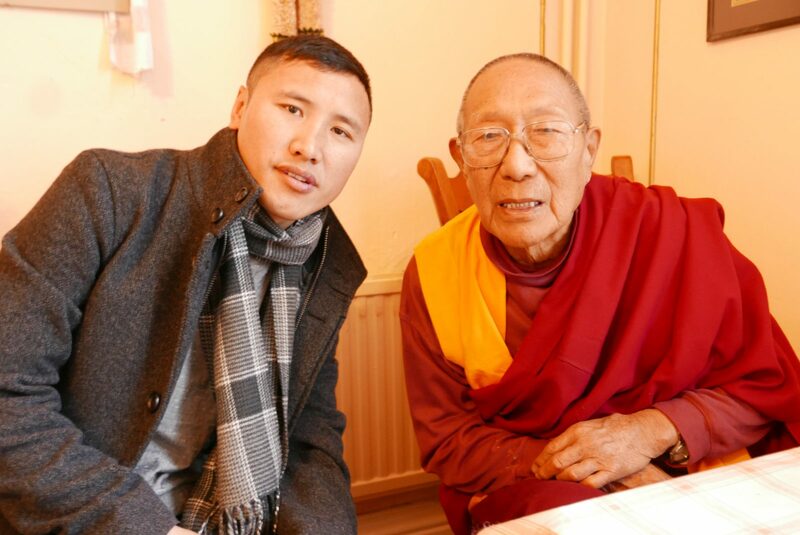 Every year at Jampa Ling we celebrate the birthday of His Holiness the Dalai Lama and this year on his 82nd birthday we again celebrate with prayers for his long life and good health. This is always a lovely occasion and everybody is welcome. Please bring vegetarian food to share and your musical instruments if you would like to play! Cost: free. 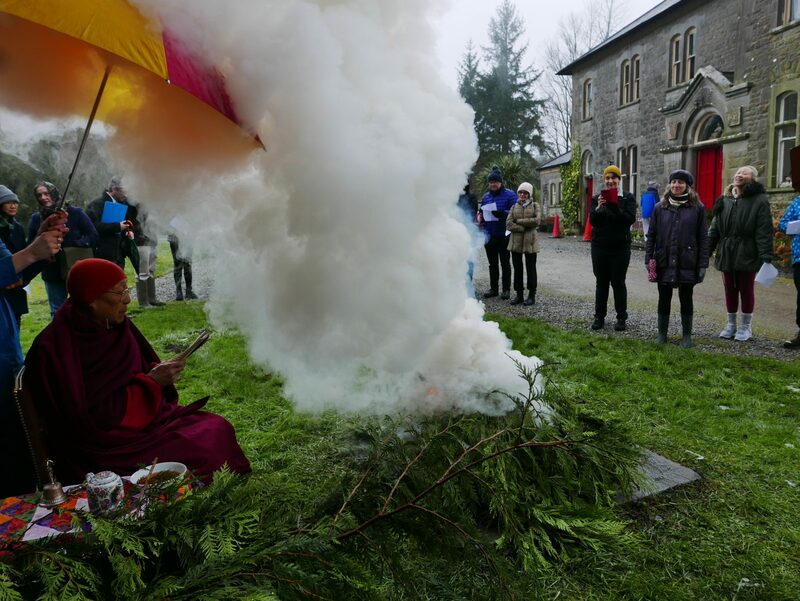 A day of prayer for world peace, initiated by His Holiness the Dalai Lama. Prayers will be said over the course of the day. There will be several showings of a DVD on compassion with His Holiness the Dalai Lama and people will be available to answer questions. Everybody is welcome to join the prayers at some time during the day. Starts at 9.30am, but come at any time that suits, and join in. People with either an interest in mindfulness or those who are seasoned practitioners looking to deepen their understanding can immerse themselves in various experiential practices, including: mindful eating; mindful walking; mindful sitting and mindful movement. This is a silent retreat where participants are asked to refrain from speaking to each other; an opportunity to spend time with ourselves in a nourishing way, leaving behind the busyness of our daily life. You are invited to open up with curiosity to what is presenting itself to you, with a sense of acceptance and letting go. Optional discussion or question and answer period on the Saturday night. You are welcome to arrive on Friday evening. The weekend starts at 10am Saturday. Booking essential, please contact the centre. For those students with this initiation. 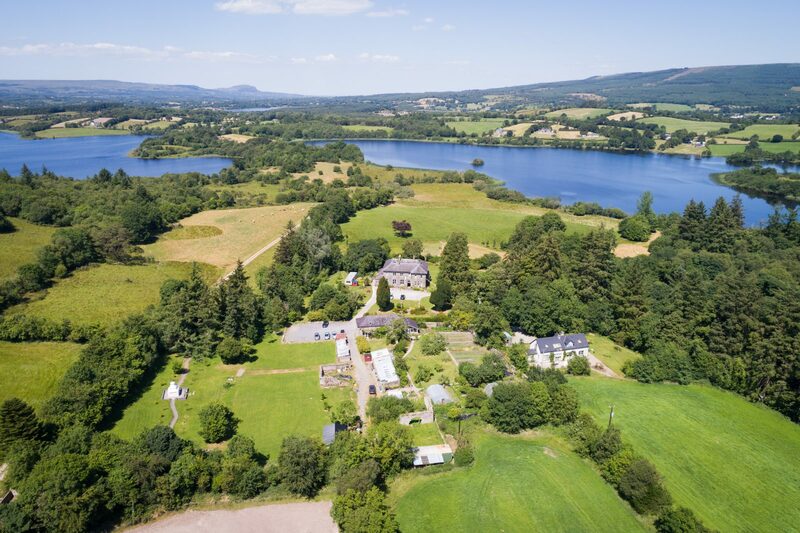 Please note, the first session of the retreat starts on Friday evening 28th July. 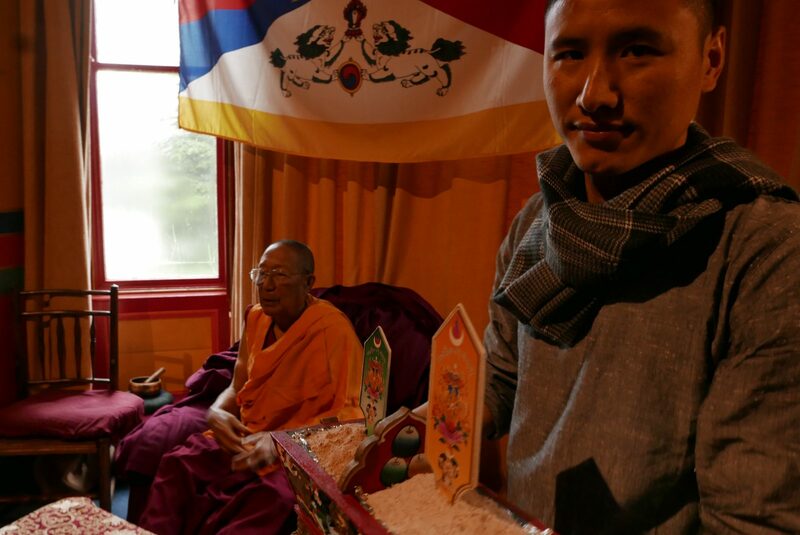 cake sale and a book sale to raise funds for Asral Charity, Rinpoche’s Mongolian project. Offers to help on the day are greatly appreciated, please contact the centre. on Saturday night and participate in “Taking Time For You: A Day of Yoga” on the next day. Join us for this day of yoga for all abilities. Through the practice of Yoga Asana, we learn to reconnect with ourselves. With breath and body as our guide, each person will be led through a day of rejuvenation and relaxation. Please let us know upon registration if you have your own yoga mat to bring. All other props will be supplied. Booking essential, please contact the centre. Charity, Ven. Panchen Ötrul Rinpoche’s project in Mongolia. For those students with this initiation. Please note, the first session of the retreat starts on Friday evening 25th August. Feeling anxious or stressed? Learn techniques on how to develop a calm and peaceful mind through meditation. The value of meditation in different areas of our lives is gaining recognition in health, education and for general happiness and well-being. This one-day introduction to meditation will give you personal experience of a calmer and more peaceful mind. Booking essential, please contact the centre. on Saturday night and participate in the Natural Voice and Singing Workshop on the next day. singing. Booking essential, please contact the centre. 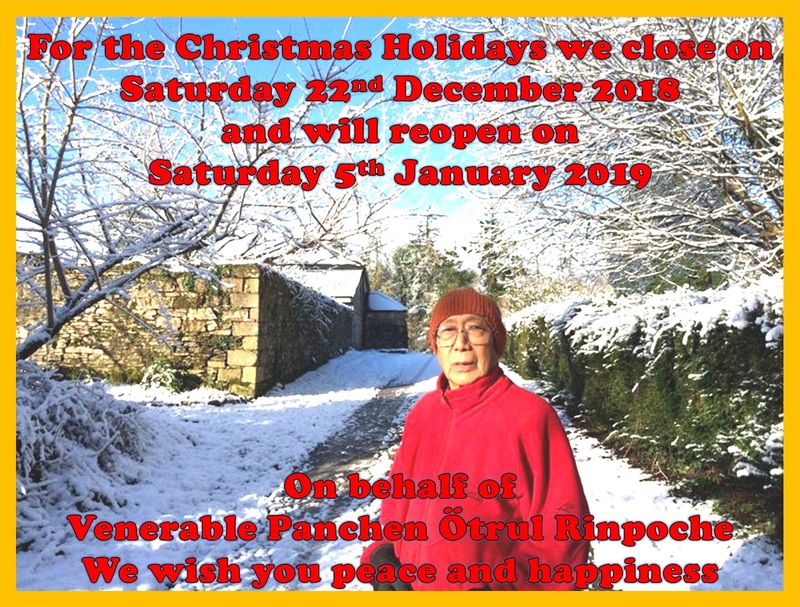 This weekend is a great opportunity to come and help at Jampa Ling and meet new friends in an informal setting. The centre needs continual maintenance and the tasks completed on this weekend are a tremendous help to the centre. Everyone is welcome, whether skilled or unskilled. This is a good opportunity for new people to come and visit the centre. Accommodation and meals are offered in return for work. Booking essential, please contact the centre. This is a weekend of guided meditations to help us develop awareness of what brings us peace of mind and harmony in our lives. We all wish for a calmer and more fulfilling life and these meditations help us look at what may bring us this.There will be sitting meditations and a period of walking meditation. It will be possible to have a discussion or question and answer period on the Saturday night if participants would like that. You are welcome to arrive on the Friday evening. The weekend starts at 10am Saturday. Gentle introduction to a morning and evening practice in Yoga Asana (postures, poses and flows). Learn simple techniques of Pranayama (breathing exercises). 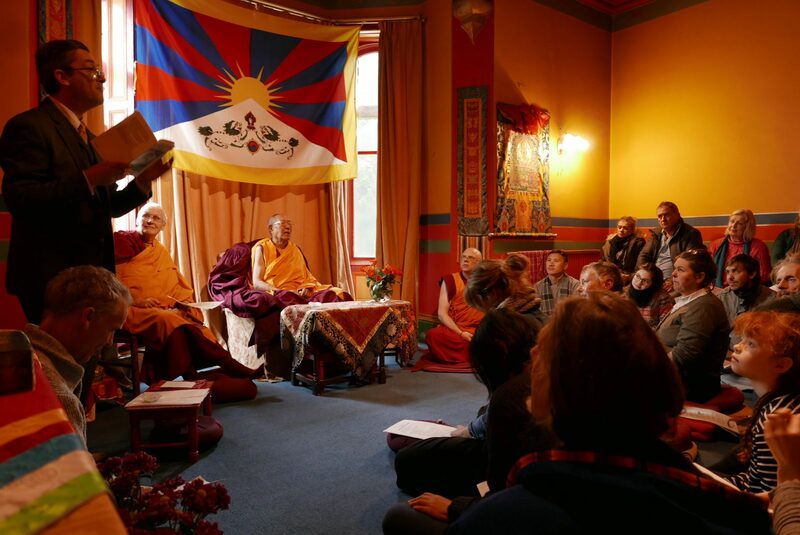 There will be a brief tour of the Buddhist centre and a guided meditation in the main shrine room. There will be plenty of time for discussions and answers for questions about your personal practice and conditions. Booking essential, please contact the centre. Please arrive at the latest by 9:45am. All proceeds will be donated to the Jampa Ling House Purchase Fund. For those students with this initiation..Please note, the first session of the retreat starts on Friday evening 29th September.